Investors tend to over-analyze when stocks are going down (fear) and under-analyze when stocks are going up (greed). ‪I think most would say the latter, under-analyzing, is the greater sin. I believe both are equally harmful. An investor’s goal should be to make as few investment decisions as possible but making few decisions doesn’t mean making slow decisions. Waiting too long to buy or sell can be very unprofitable. In fact I would conclude that indecision is an investors biggest adversary. 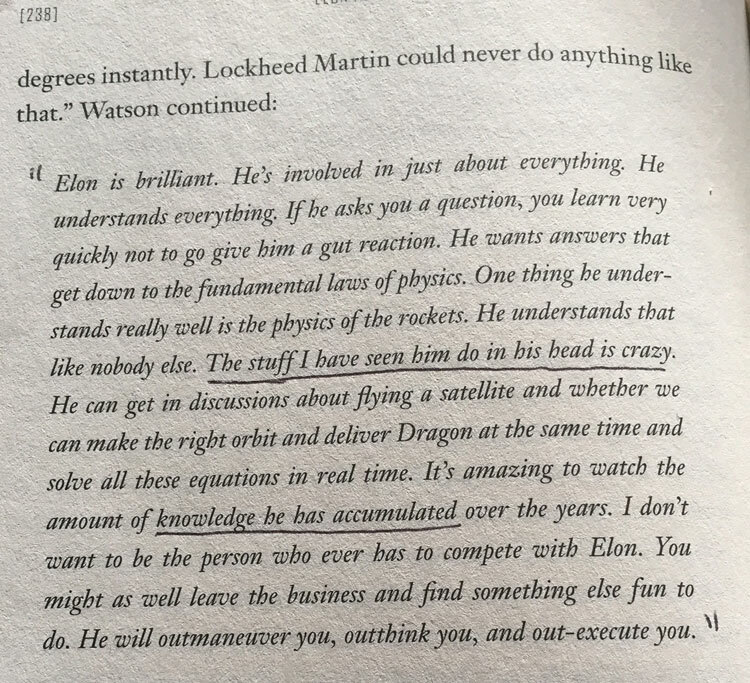 Successful business leaders/investors (aka intelligent fanatics) have a high mental horsepower, a deep understanding of what is within their circle of competence, and can therefore make very quick decisions. These traits allow them to outmaneuver the competition. When did you get an “Aha!” feeling that Warren wasn’t a typical human being? Alice: That was obvious when I met him as an analyst in the first 5 minutes into the conversation. When he opens his mouth it just comes through. His way of articulating ideas is very original. He is a great synthesizer and especially strong at pattern recognition. He’s also able to follow what I would call decision trees and figure out probabilities in his head at an astonishing pace. So when you are in a conversation with him, he has worked out many of the directions in which the conversation can go, the likelihood of each, and how he wants to manage his end of it. He’s reading you emotionally too. You recognize that right away in a conversation with him. You realize he’s many moves ahead of you on the chessboard. It is eerie, but also fascinating. You also can see how unusual he is because he’s a great teacher. If you ask him questions he loves to convey the things he’s learned. So how do we investors make faster-better investment decisions? 1. Become a Learning Machine: I enjoyed Jana Vembunarayanan’s (‪@jvembuna‪) eight steps to becoming a learning machine found [HERE]. As a full time microcap investor and entrepreneur it is important to have high creative and intellectual mental horsepower. Since microcap investing is highly correlated to entrepreneurial investing, I read a lot of books focusing on business leaders and entrepreneurs. When I read, I read slowly, with a note pad (physical notepad or notes on iPhone/IPad) beside me. I’ve always been amazed at the creative sparks that occur when you are reading something that you truly connect with. Similarly, life happens and I go through a lull in reading that can last weeks. During these times I can literally feel my creative and mental horsepower decline, and my decision-making becomes slower. Read what you are interested in. Don’t be afraid to put a book down that you aren’t engaged with to pick up another. You don’t get an award for finishing a book you don’t like. 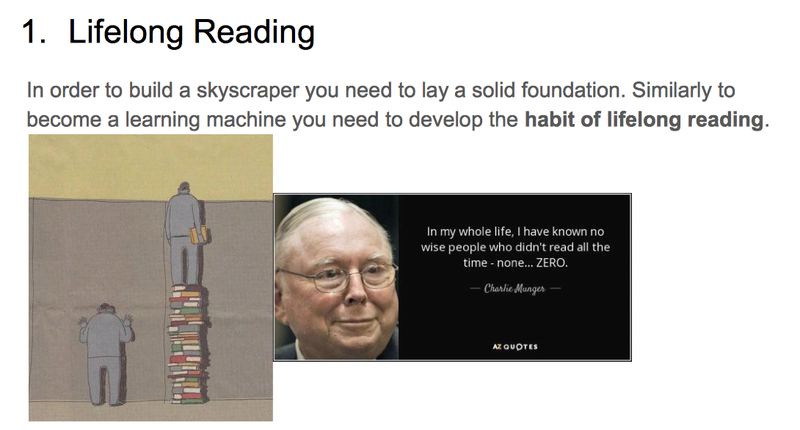 The goal is to keep reading and become a learning machine. I’ve found great investor’s offices aren’t filled with computer screens. They are filled with books. Similarly, when I was getting started as an investor it would take me a long time to read through a annual reports and analyze the financials. After you’ve read hundreds and/or thousands of company annual reports you can analyze much quicker. Instead of taking a couple hours to make a decision it now takes 10 minutes. Making quick decisions doesn’t mean getting to a “Yes” quicker, it’s more often saying “No” quicker. Guy Thomas said, “Investment skill consists not in knowing everything, but judicious neglect: making wise choices about what to overlook”. 2. Know your Circle of Competence: There are 12,000+ microcap companies that trade on US/Canadian markets. I personally only look to initially invest in microcaps <$30 million market cap. I don’t like small companies that operate in capital-intensive industries like mining, life sciences, and oil & gas. I generally stay away from pre-revenue story stocks. I look for companies with clean share structures and owner operator management teams. These qualitative and quantitative filters take 12,000 companies down to several hundred. You then evaluate these companies looking for great businesses or good businesses that can become great. You are left with maybe 50-100. You might find one or two that you want to buy today. The others you want to know fairly well so you can wait for the right price or an inflection point. Know them better than most so you can buy them quicker than most if you have to. 3. Invest in Great Businesses: Invest in simple businesses that you can understand. Simple businesses aren’t always great businesses but great businesses are almost always simple businesses. They are rarely onions where you have peel back layers to understand them. Great businesses make for great stocks and the market always pays a premium for them. As a microcap investor I have no inclination to buy an undervalued company that will stay undervalued. I want to find undervalued companies that will get overvalued. Great businesses always become overvalued because they are simple to understand and there is a scarcity value placed on simple great businesses. For the same reason you want to focus on such businesses, others will too. My rule of thumb is I need to be able to explain a company in a minute or less. If it’s complicated and takes more time, “dumb money” will never buy my shares multiples higher. In the case of small microcaps, “dumb money” are the institutions. To be a successful microcap investor, you don’t want to invest where the institutions are, you want to invest where they are going to go. The key is finding these great businesses when they are small. When you find them when they are small and undiscovered you have the luxury of not only earnings growth but also multiple expansion. This combination creates multi-baggers, sometimes very quickly, and it’s why it’s important to find these great simple businesses early. 4. Organize Your Research: Organizing your research is important for full time investors and part time investors. As Warren Buffett said, “Everything you learn in investing in cumulative.” Alex Rubalcava (@AlexRubalcava) did a great presentation on this subject a few years ago. We have a thread started on our MicroCapClub member’s forum on how different investors organize their research. Mike Schellinger (@MikeDDKing), a full time private microcap investor, has a template he uses to organize his database of over 600+ companies he passively follows. Of those 600+ he actively follows around 10%. When I evaluate my biggest winners, the purchase decision was “obvious” meaning it didn’t take me very long to come to the conclusion to buy an initial position. Often times the fact that it is taking me longer to come to a conclusion is reason enough for my gut to say “No”. Similarly on the sell side, I’ve had many instances where my gut provoked me to sell a position even after holding for years. 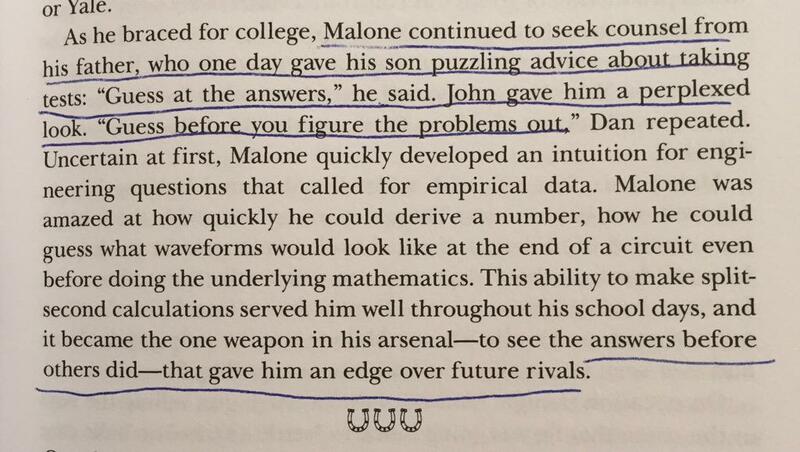 In conclusion, the greats are great because they are relentless learning machines that focus on what’s within their circle of competence. Great investors have an ability to wait for their pitch and when that pitch arrives to swing quick and hard. Focusing on great businesses, organizing your research, keeping an investing journal, and going with your gut are all things I do to make quick decisions. Napoleon Hill said it best, “PROCRASTINATION, the opposite of DECISION, is a common enemy which practically every man (and woman) must conquer”. Great article. One of your best yet! Very interesting one, Ian! Yes, not easy to conquer procrastination but thanks for giving some good solutions on how to conquer it. It is a continuous process.